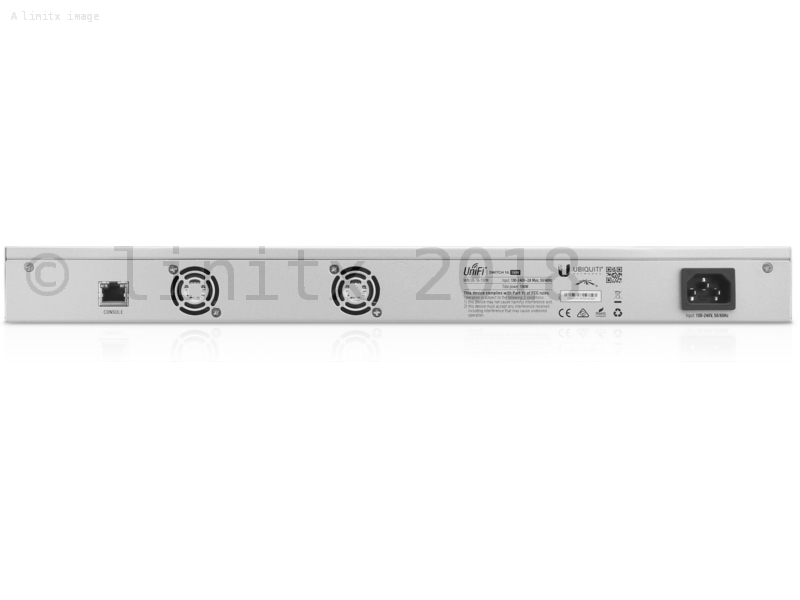 150 arriving 26-Apr-2019 eMail us to reserve stock. 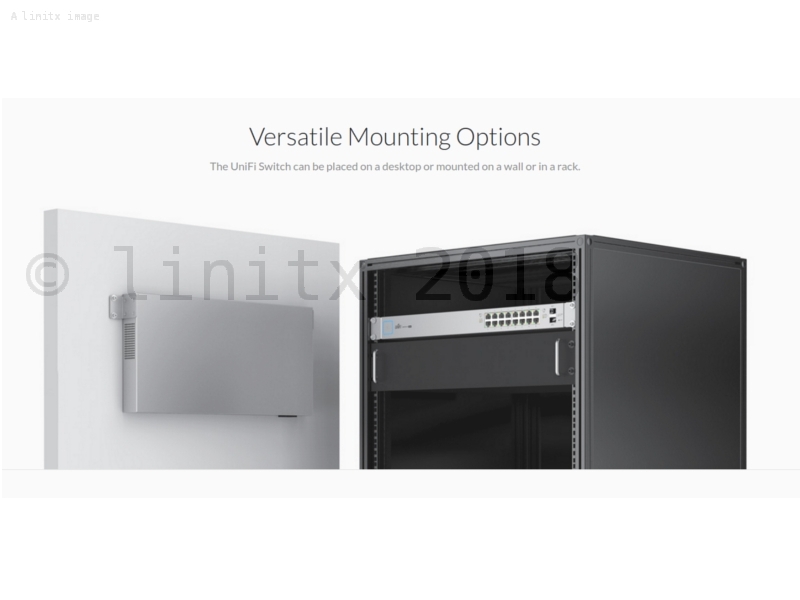 Ubiquiti Unifi 16 Port Managed PoE+ Gigabit Network Switch with SFP, gives the user a total of 150W PoE, 16 x Gigabit Ethernet ports with 802.3af/at PoE+ or 24V passive PoE, and 2 x SFP ports offering optical connectivity. 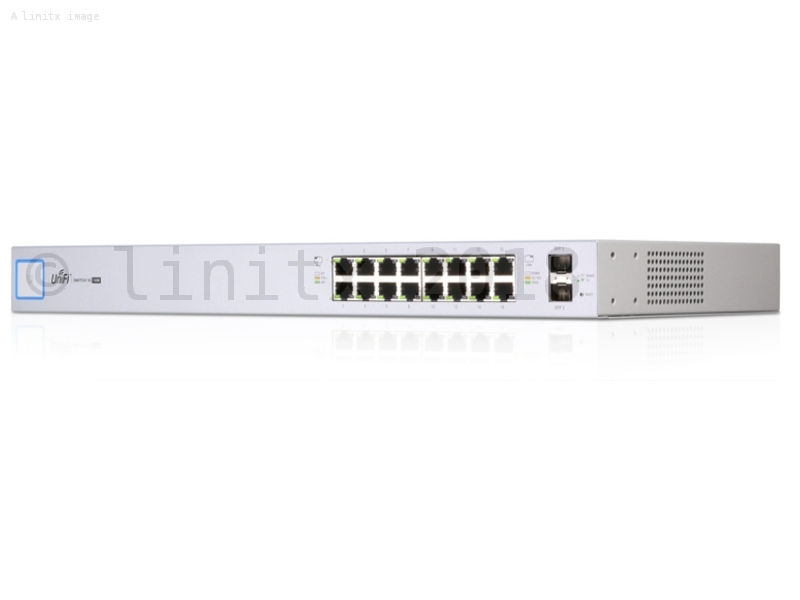 The 16 x Gigabit RJ45 ports offer different power output options: auto-sensing IEEE 802.3af/at or configurable 24V passive PoE. 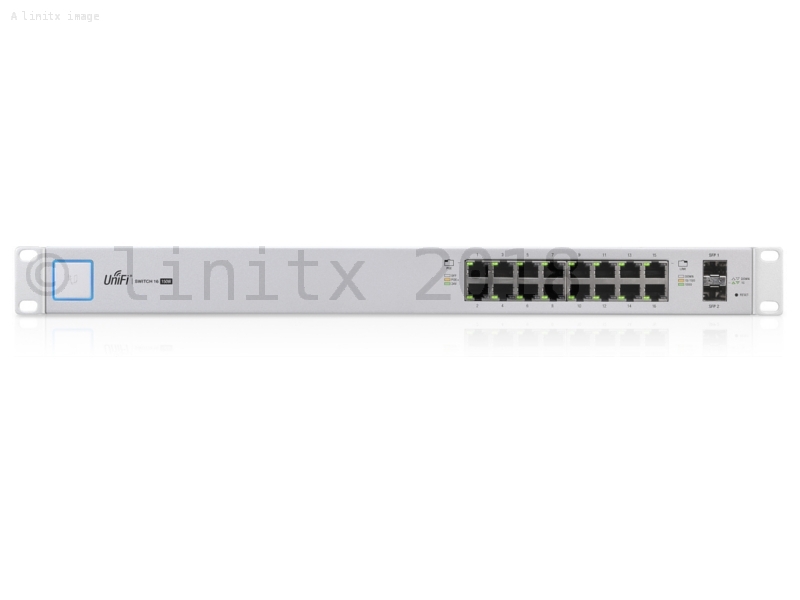 The 2 x SFP ports provide fibre optic connectivity options to support uplinks of up to 1 Gbps. 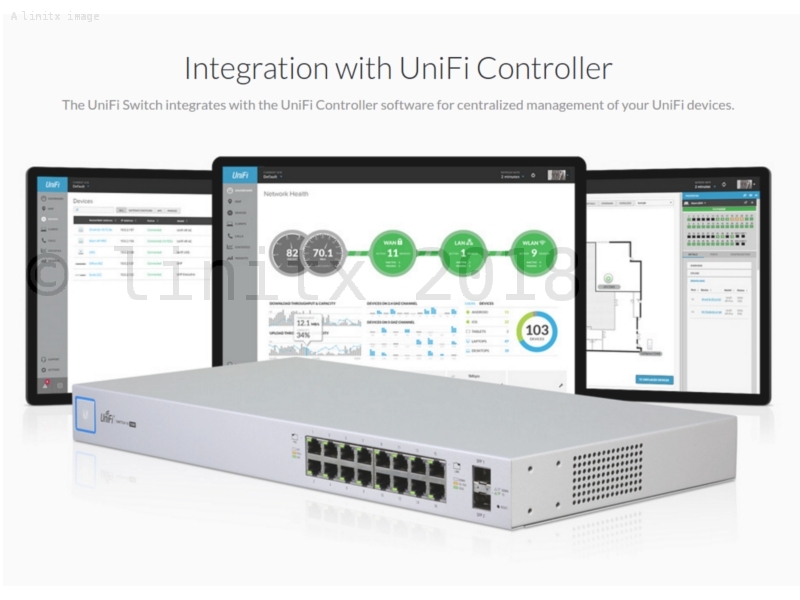 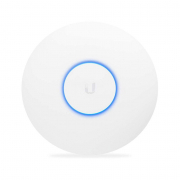 The Unifi US-16-150W features quiet yet powerful performance with fanless passive cooling. 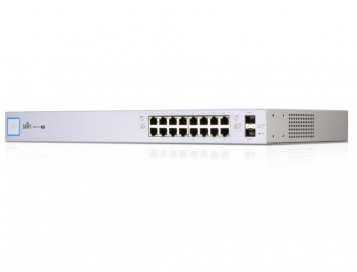 This 16 port PoE switch gives you 18 independent switching ports � 2 x 1 Gbps SFP ports and 16 x 10/100/1000 Mbps RJ45 Ethernet. 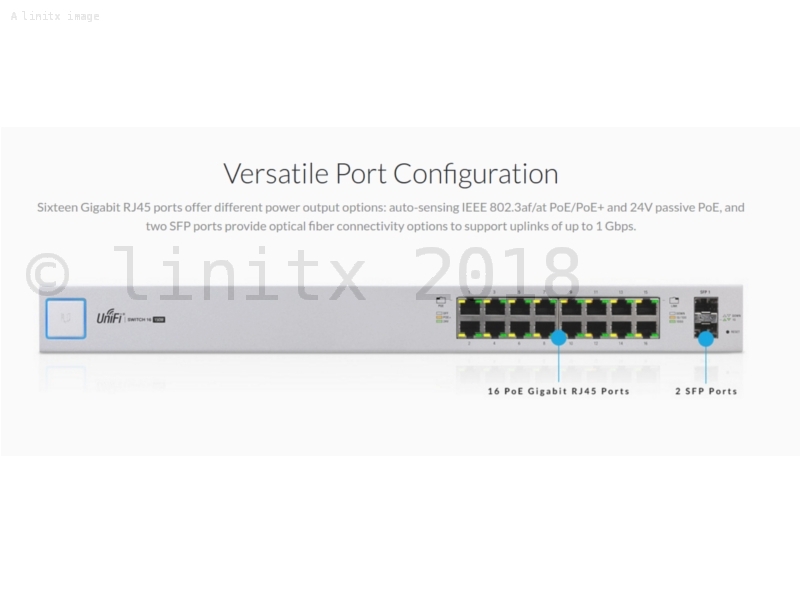 It also supports 802.1X authentication, static and dynamic VLAN tagging, guest control, storm control, and port isolation.